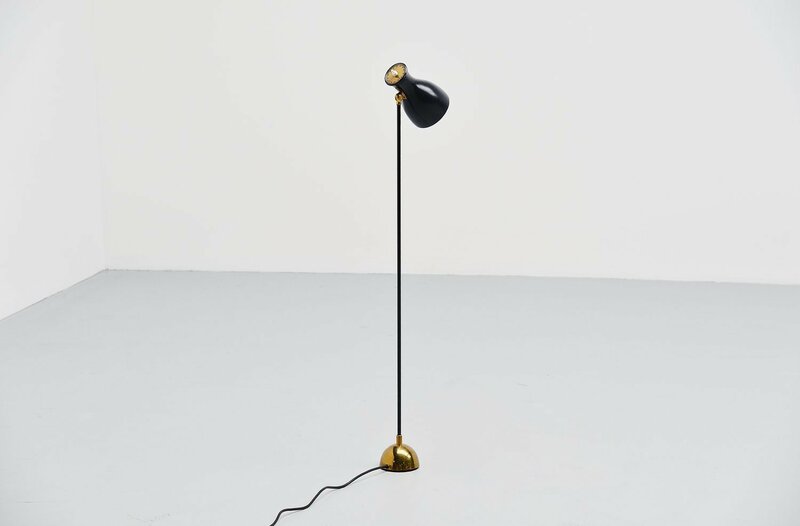 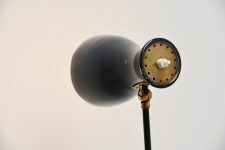 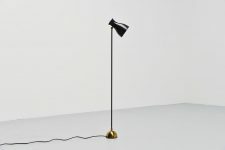 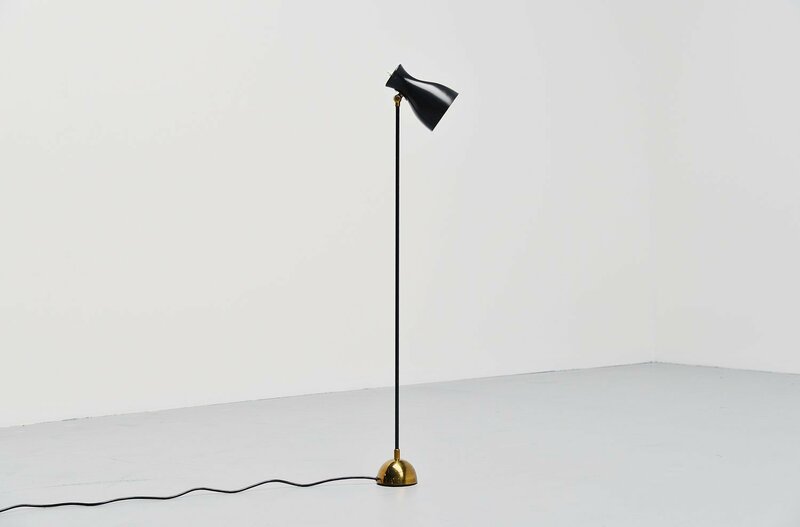 Nice minimalist floor lamp designed by Dieter Schulz for Wohnbedarf AG Schweiz, Switzerland 1957. 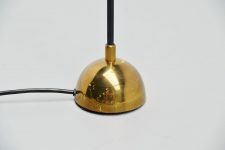 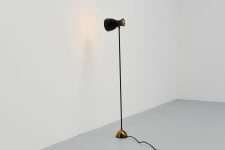 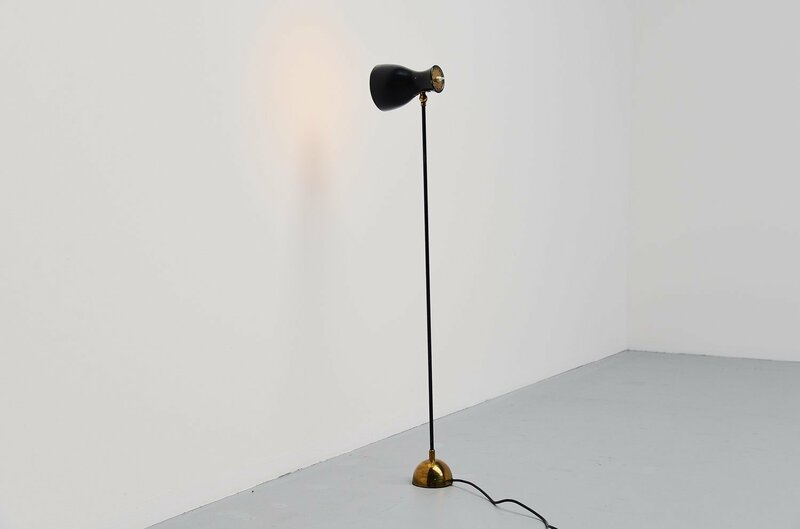 This nice small lamp has a brass weighted base and a dark grey lacquered arm and adjustable shade. Very nice brass detailed lamp in good original condition with minimal wear from age and usage. 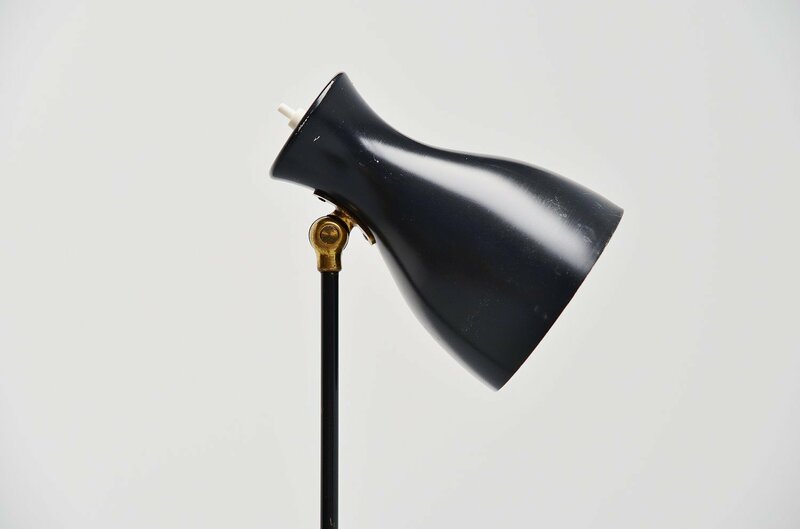 This lamp is often sold and wrongly attributed to Stilnovo, it most surely isn't.